Sunday saw the first event of our ‘Food for Thought’ project. 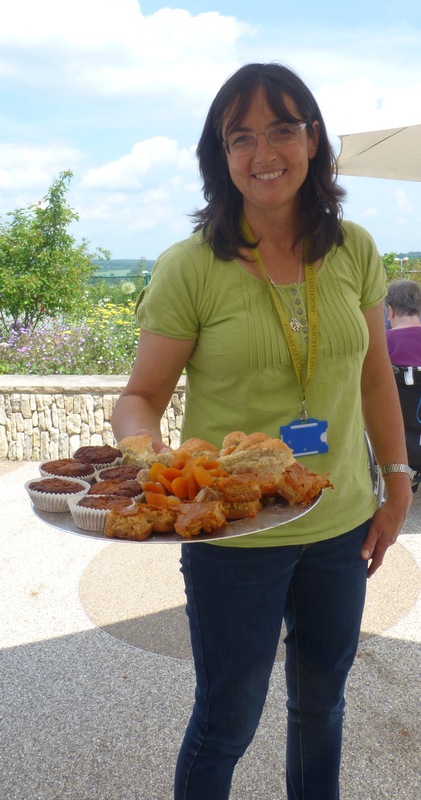 The event was held at Horatio’s Garden in the Duke of Cornwall Spinal Treatment Centre of Salisbury District Hospital (http://www.horatiosgarden.org.uk ), and was focussed around a ‘Roman lunch’ for staff, patients and their families – c. 75 of whom came. The wonderful Horatio’s Garden team put on a delicious spread of boiled eggs, olives, ham and wild boar sausages with spelt and honey cakes for dessert and pomegranate juice to drink. Olivia with a tasty selection of Roman cakes. 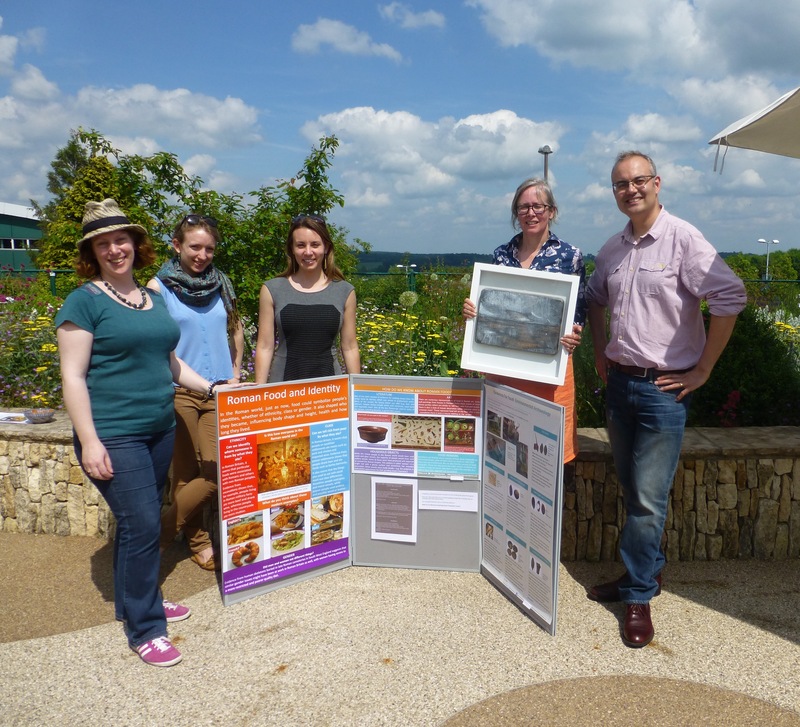 Alongside the food we had a set of posters created by members of the ‘Food for Thought’ team, which introduced ways of learning about food in the Roman world, discussed the evidence for food in Roman Britain and Italy and posed questions about food and identity. 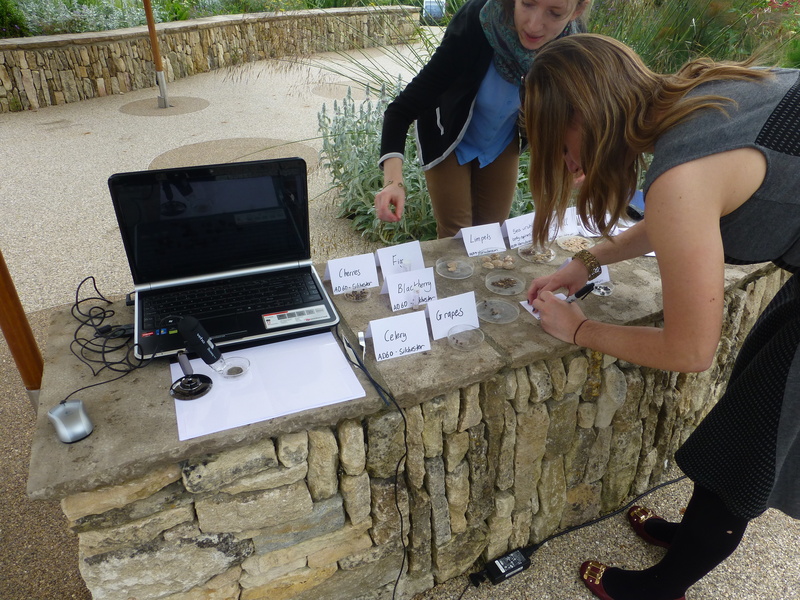 Erica and Lisa also put together a display of seeds and shells with a microscope to help people view the smaller objects – lots of people were particularly intrigued by how well the eggshells were preserved! Erica and Lisa setting up their environmental archaeology display. Dan had a portable display of pottery from Roman Britain, which he used to introduce people to the basics of pottery analysis and how it relates to food. 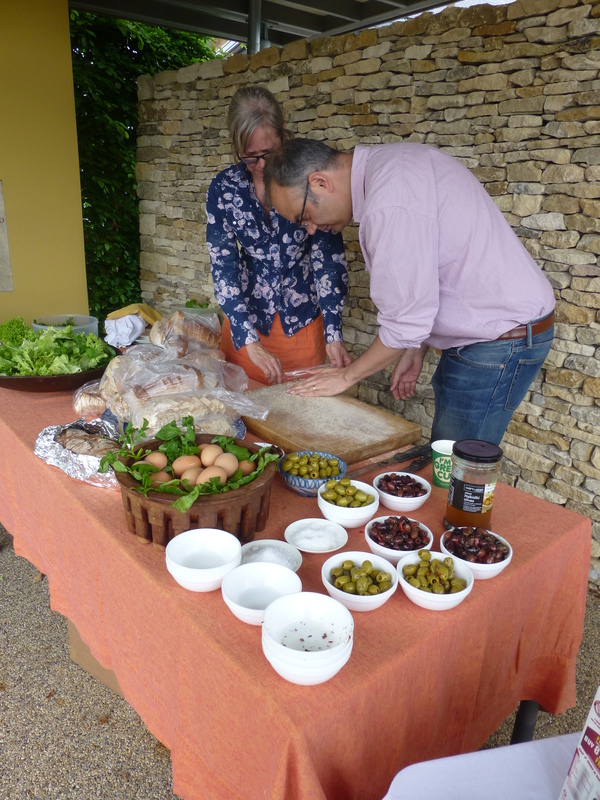 We also gave out handouts with Roman recipes for people to try at home and we dotted around the garden some quiz sheets about food in the Roman world. Dan with his pottery sherds. 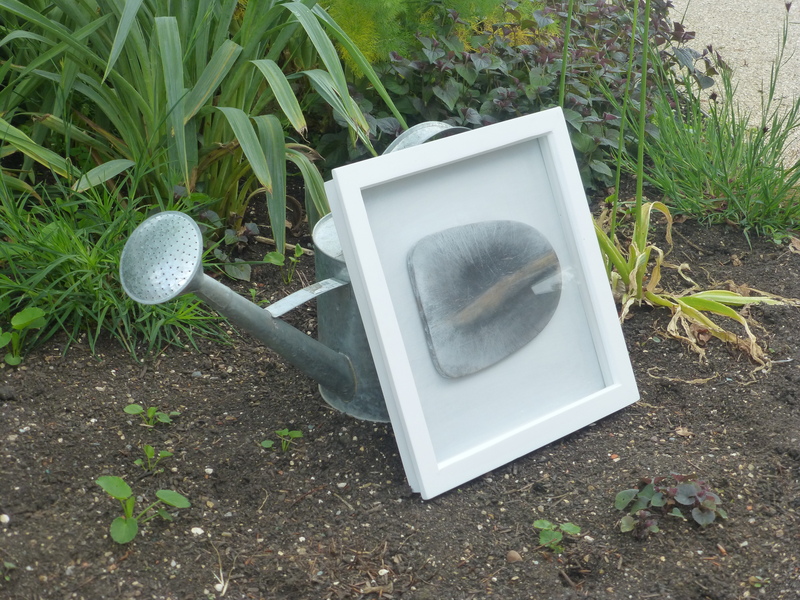 As well as the archaeology, it was a pleasure to work again with artist Miranda Creswell, who put on a display of some of her recent pieces – chopping boards (including an old one of mine!) on which Miranda has drawn landscapes. These provided a nice link between food preparation and the land and were hidden in various parts of the garden. One of Miranda’s chopping boards. We couldn’t have had a better start to the project – lovely weather, tasty food, good company and interesting conversations. Thank you, Horatio’s Garden! This entry was posted in Event and tagged Environmental archaeology, Food for Thought, Herculaneum, Horatio's Garden, Pompeii, Roman Britain, Roman food, Roman Italy, Roman pottery, Silchester on June 3, 2014 by zkamash2013.